The benefits of single-level living through the various stages of life have bungalows back in vogue, but they needn’t be boring! 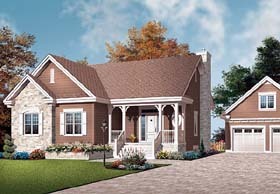 Cascading gables, stone accents, fine trim detail and front porch all create a welcoming picture. A modern layout with activity areas oriented to the backyard allow the family to enjoy their private spaces. This orientation also makes the transition to outdoor living areas natural. The compact 1498 sq. ft. does not scrimp on features. 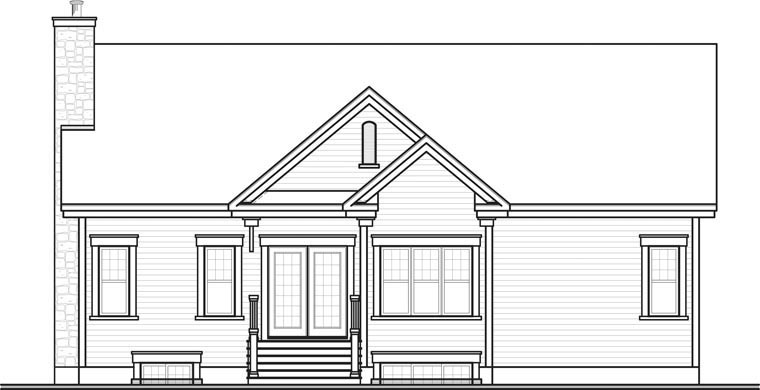 Efficient planning of space results in three bedrooms, a five-piece bathroom, main-level laundry, kitchen with island, sunny breakfast nook, dining/living room and even a guest bathroom off the vestibule. 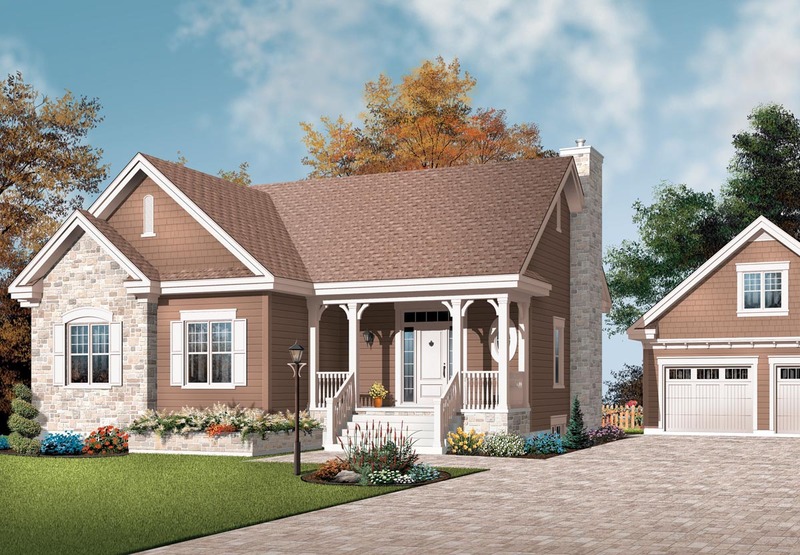 The package is completed with front and back covered porches and a basement that is a blank slate, open to develop as desired. This is a home that will efficiently and comfortably serve you through many stages of life.